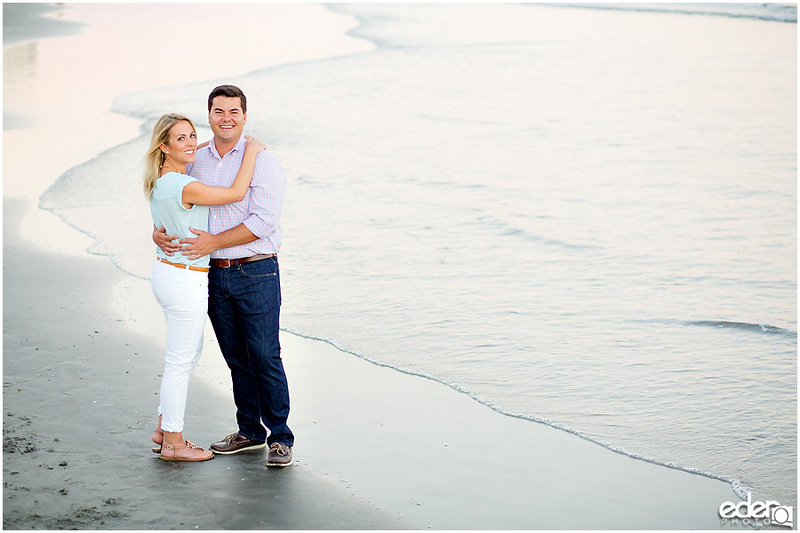 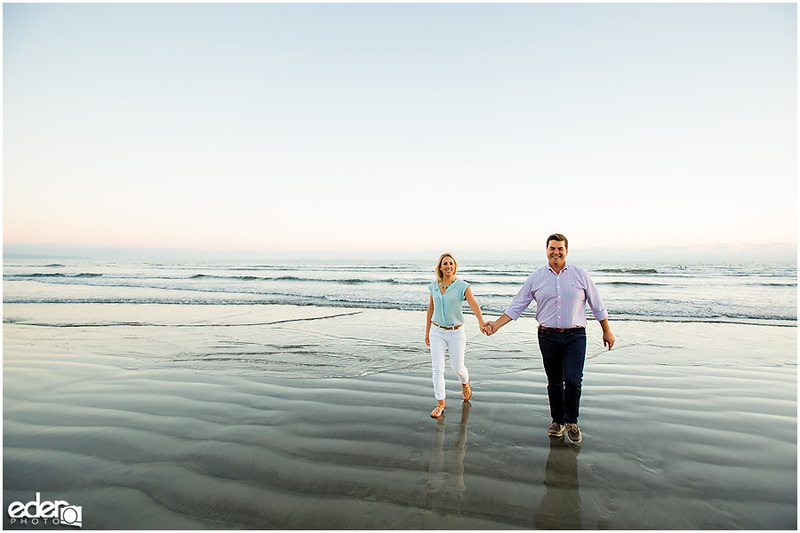 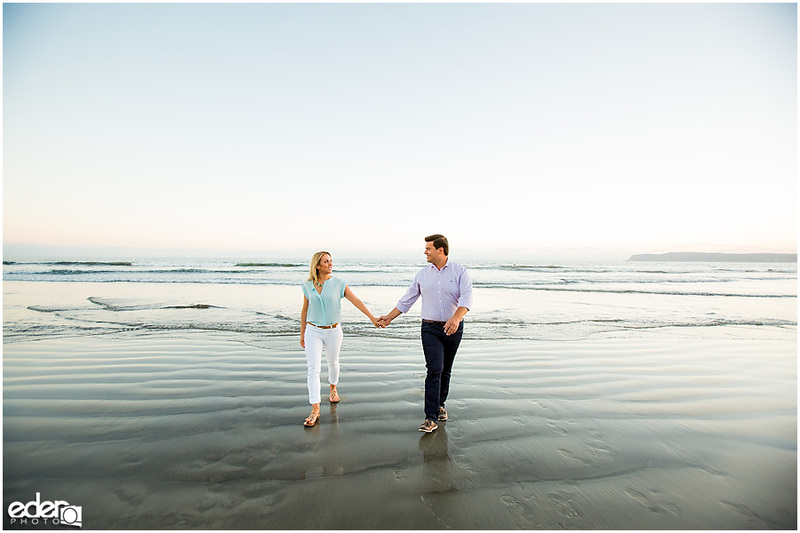 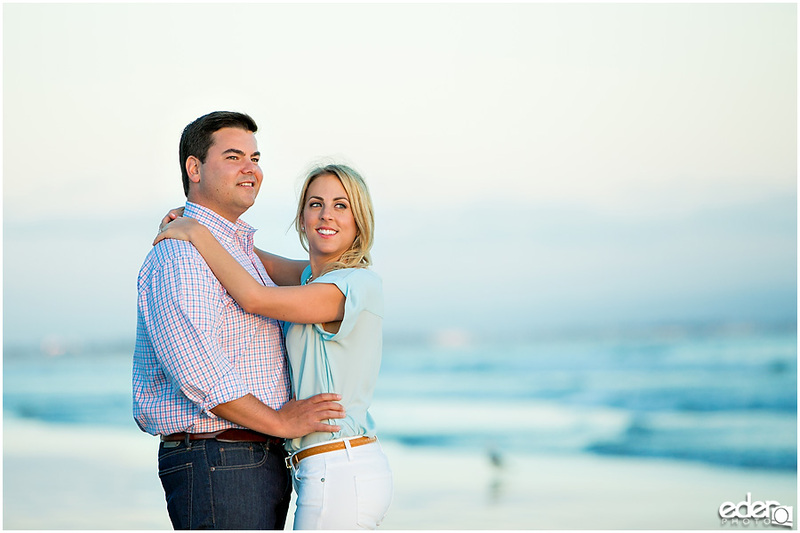 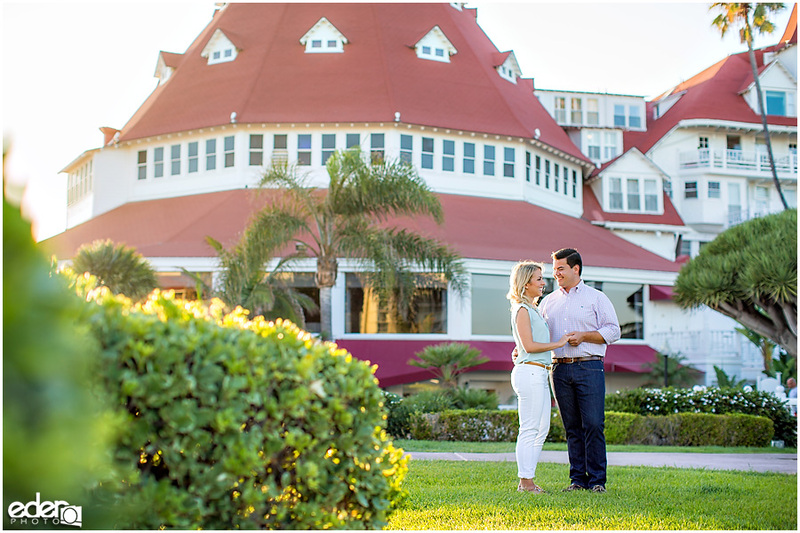 It was such a pleasure getting to photograph Meredith and Matt’s Hotel Del Coronado Engagement Session. 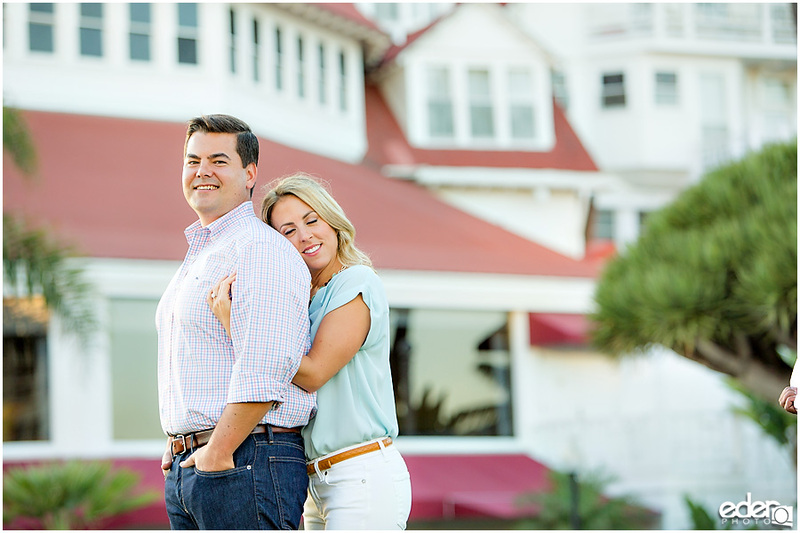 For them, the Hotel Del brings back memories of when they first started dating. 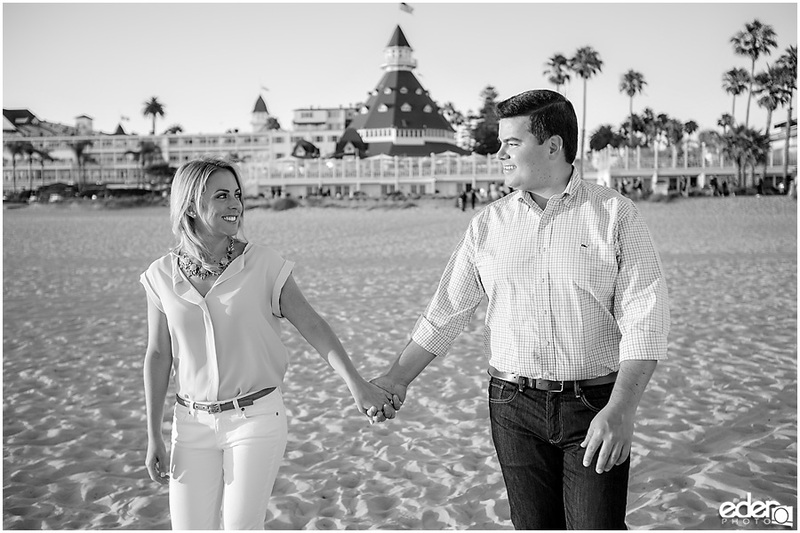 For that reason, it was the perfect place to do their engagement session.Years from now they will be able to look at these photos and it will bring back the feelings that they felt from when they started dating to the months before they tied the knot. 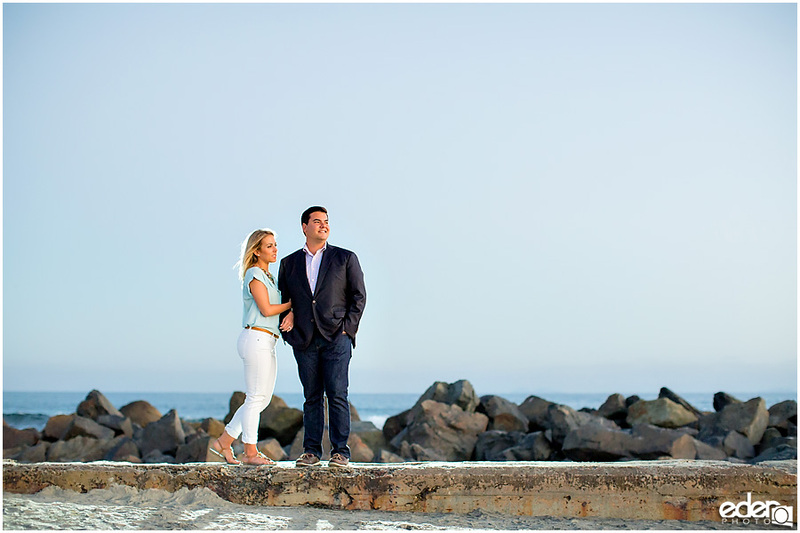 Years from now they will be able to look at these photos and it will bring back the feelings they had when they started dating til the months before they tied the knot. 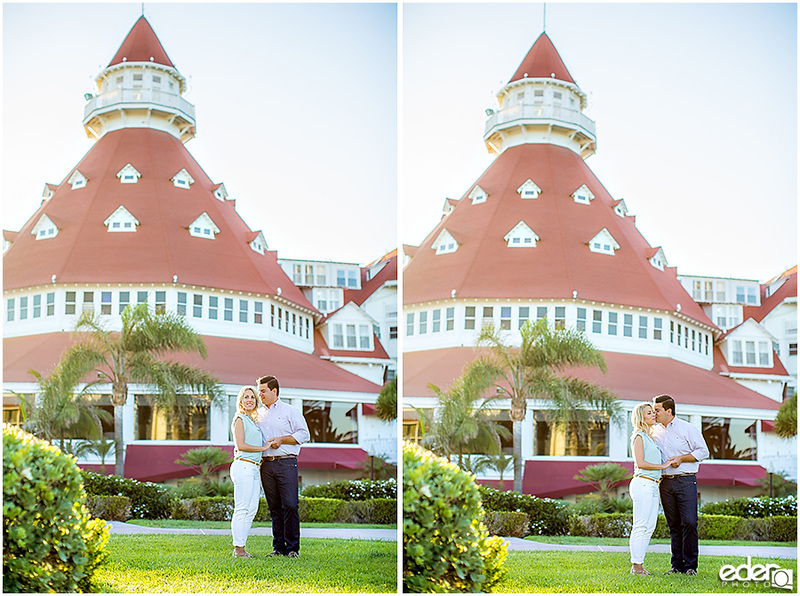 We started their Hotel Del Coronado Engagement Session in front of the iconic tower of the main building. 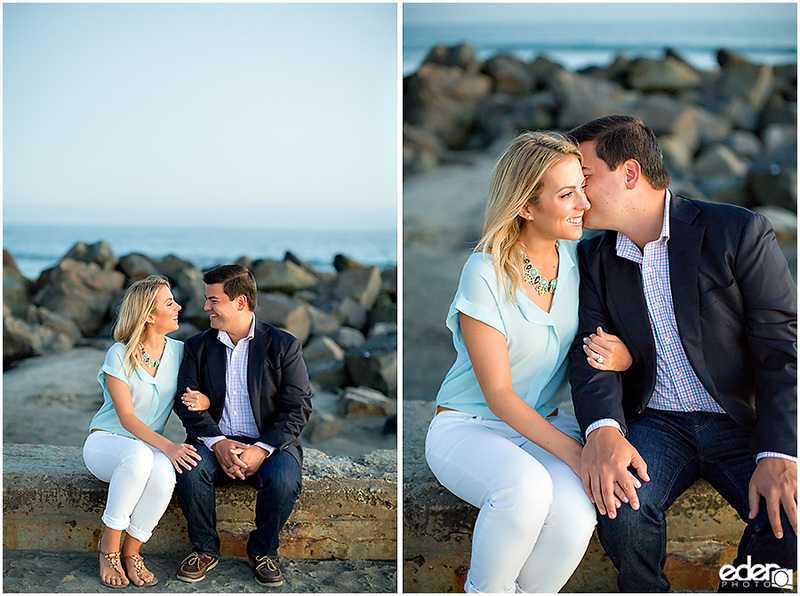 Like most sessions, when we started, Meredith and Matt had to warm up to the camera. 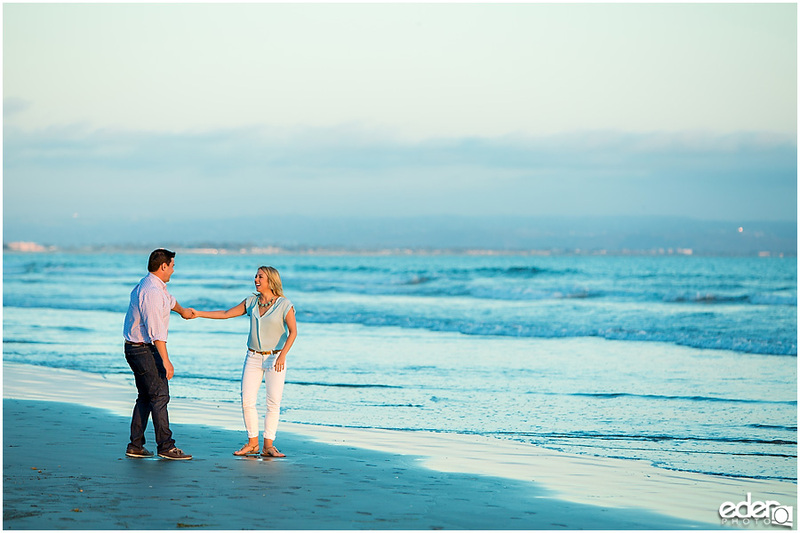 But in no time, it was like they forgot all about my presence and instantly got comfortable being themselves. 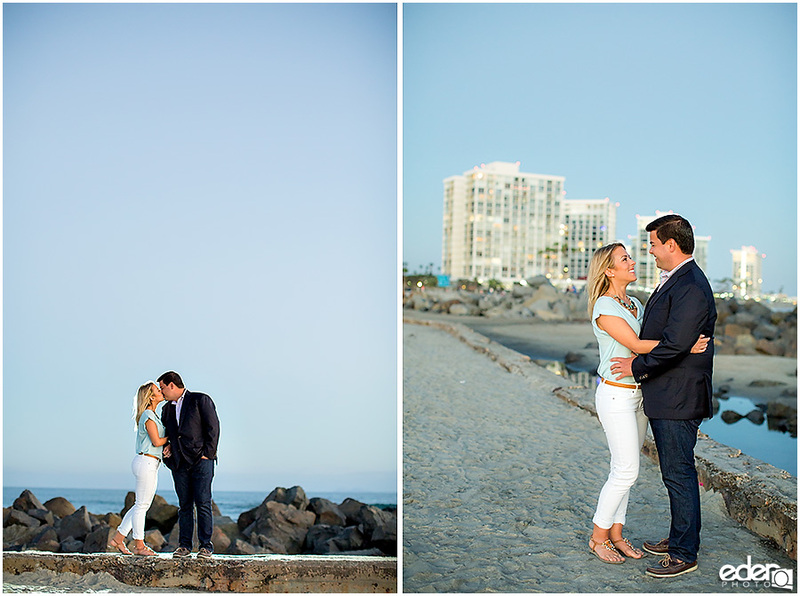 After doing a few photos in front of the Del, we took a walk on the beach. 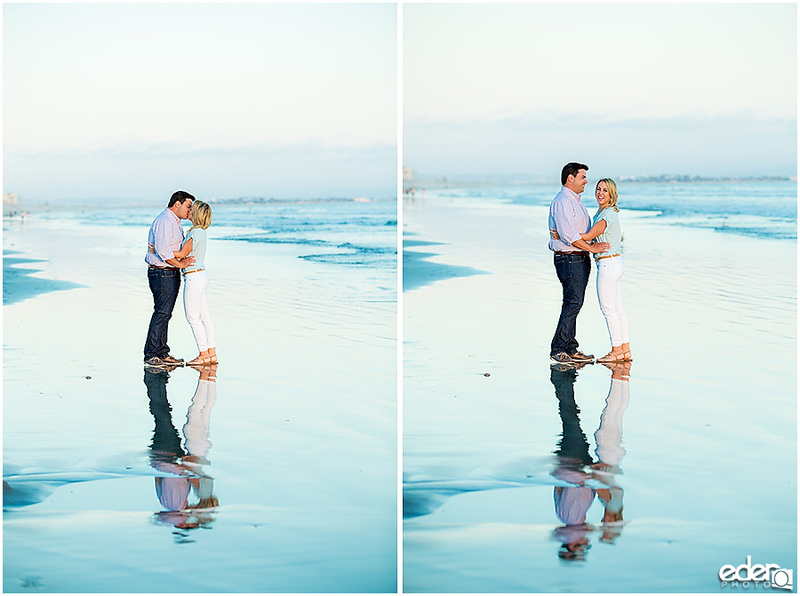 From this point on I gave them little instruction and just had them interact with each other. 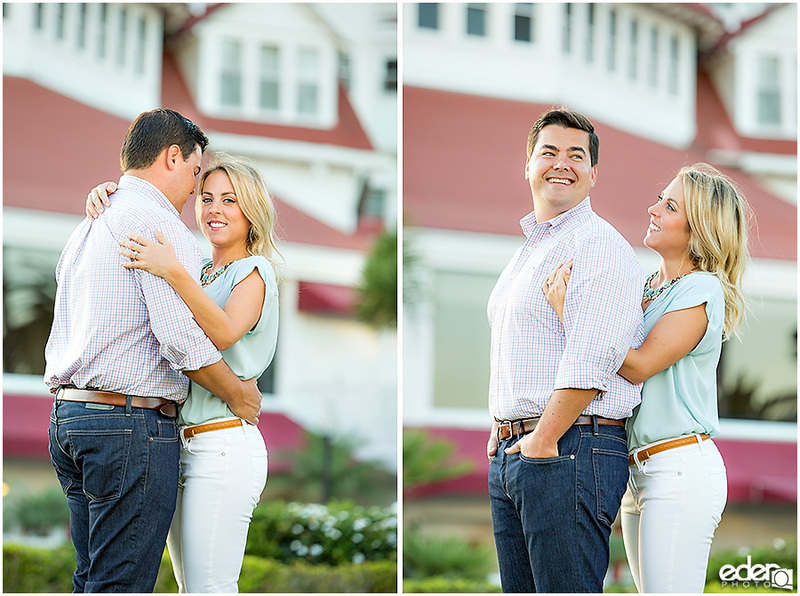 I wanted to capture them being natural as much as possible. 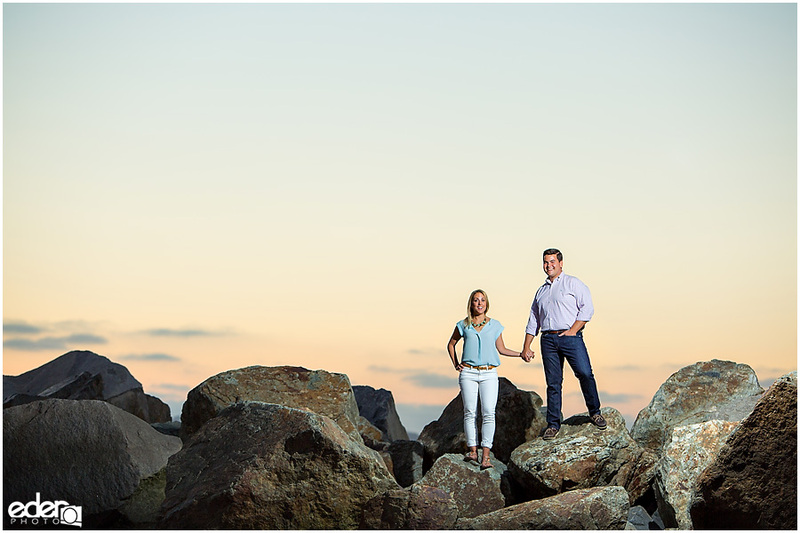 I then asked them to do something a little dangerous by climbing the rocks. 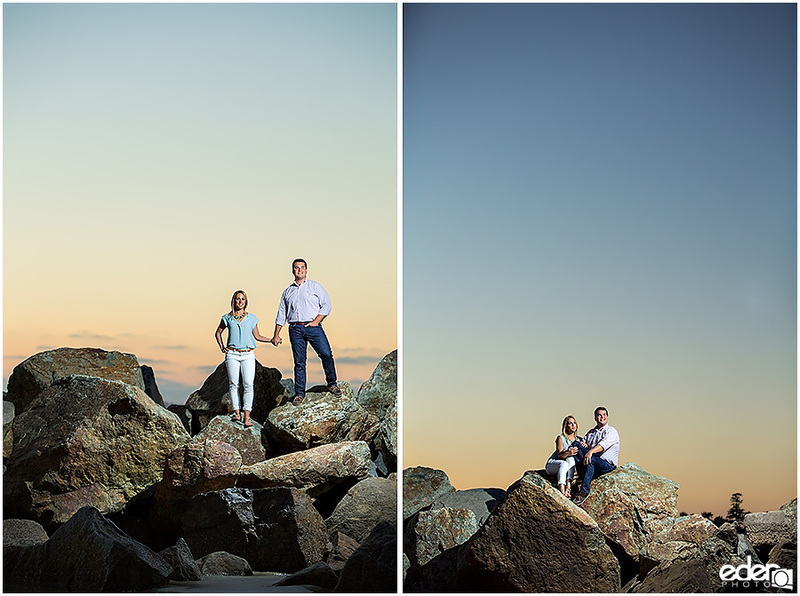 It was a little risky but they were totally up to it since I told them that I felt that we could create some dynamic images with the large rocks and the colorful sunset behind them. 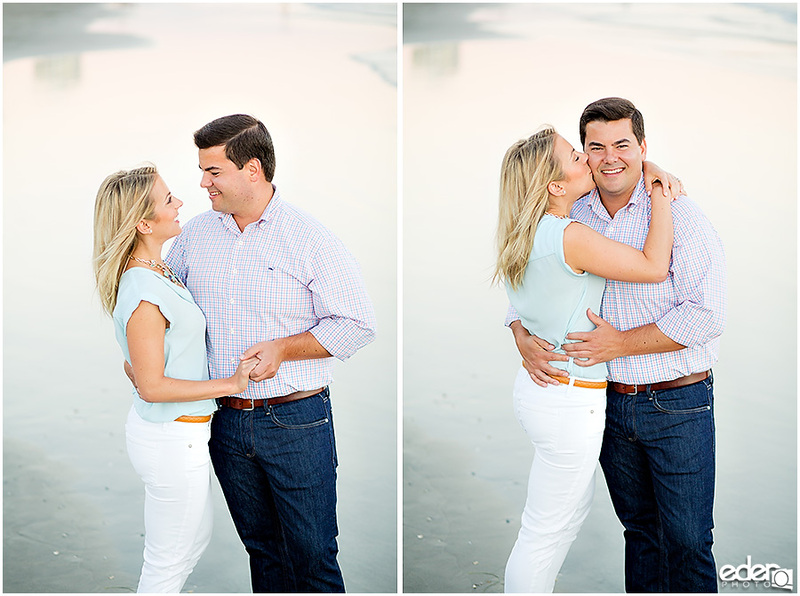 The resulting images completely paid off. 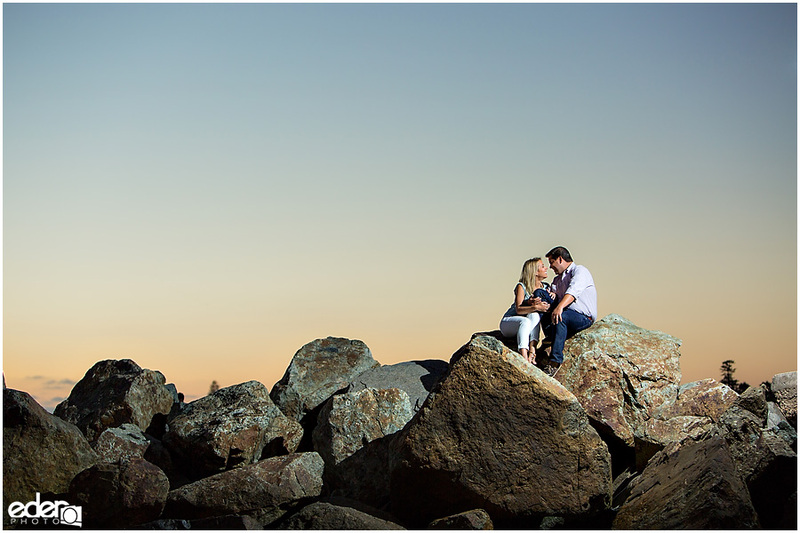 We finished with a few more images as it started to get dark. 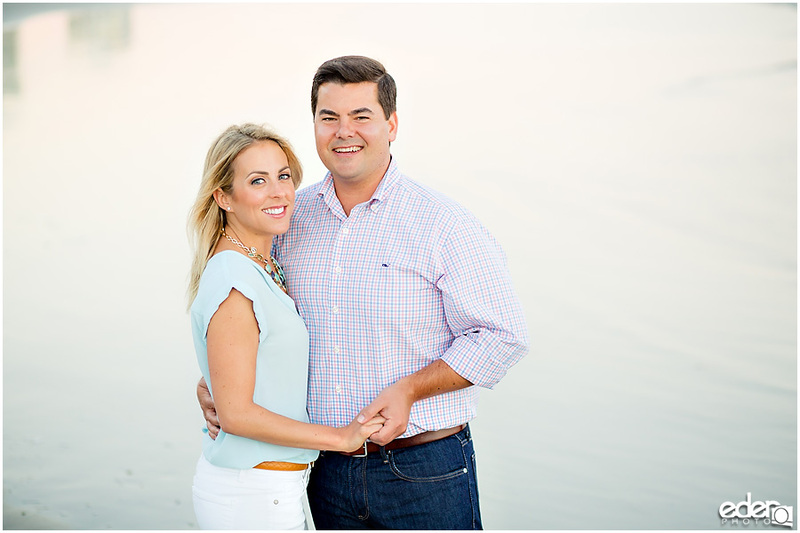 I cranked up my light sensitivity on my camera and put a little backlight behind them to really pop off the background. 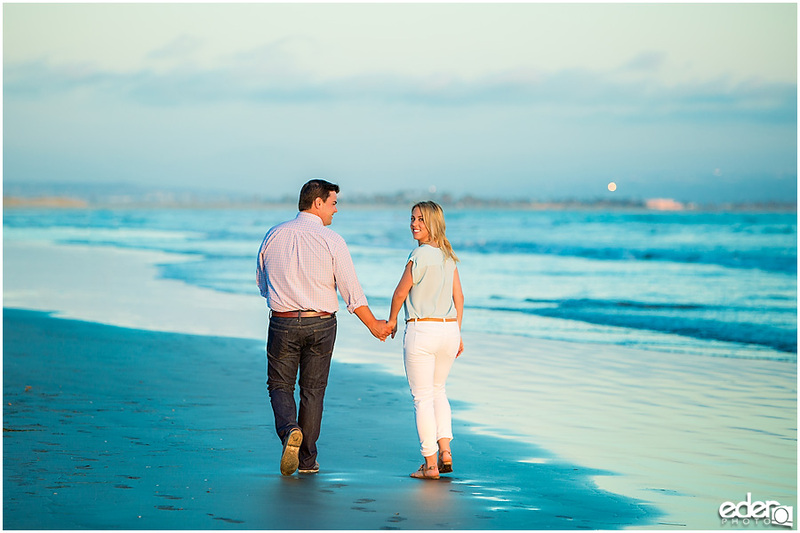 I had a great time walking up and down the beach with them. 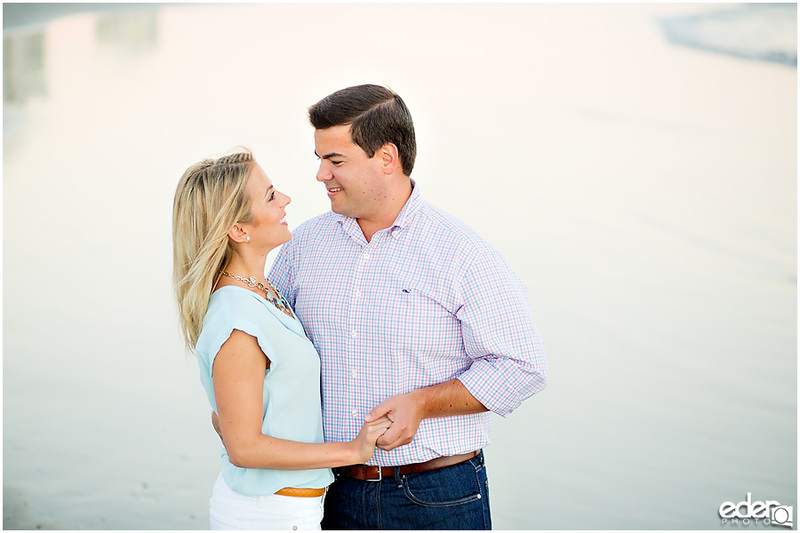 Even though it was just a mini engagement session, we got so many great photos!